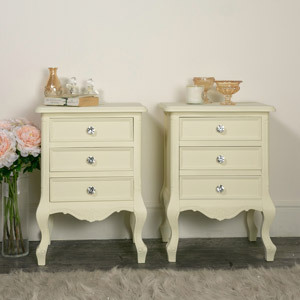 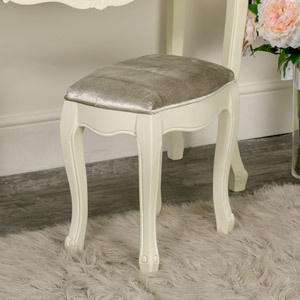 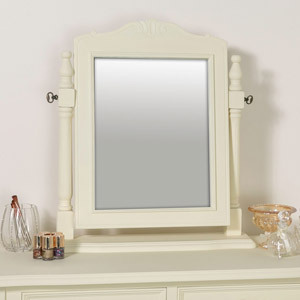 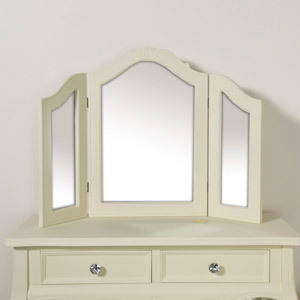 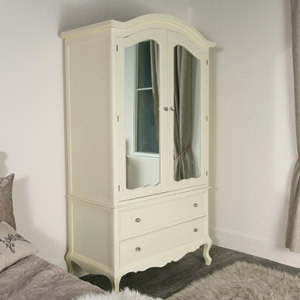 The Elise Cream Range is a beautiful, vintage inspired selection of pale cream painted wooden furniture. 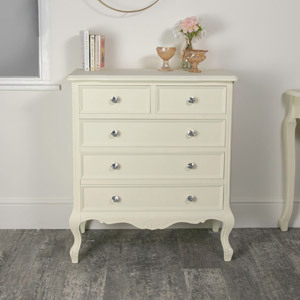 The Elise Cream Range has a lightly distressed, shabby chic style finish, with ornate French inspired carved detailing and glamorous crystal style handles. 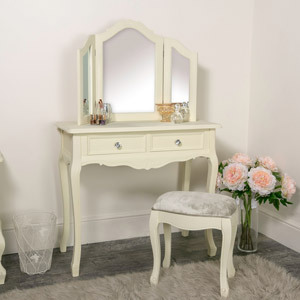 Items included in this range are a full dressing table set with two different mirror designs, a large double wardrobe, a 2 drawer bedside table, a 3 drawer bedside table, a half-moon console table and a five drawer chest of drawers. 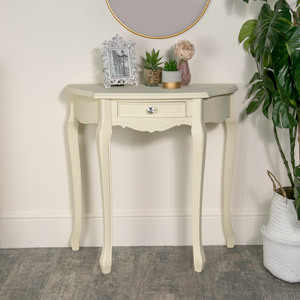 The Elise Cream Range is ideal for those wanting to add a touch of vintage style, country French farmhouse charm to their living space. 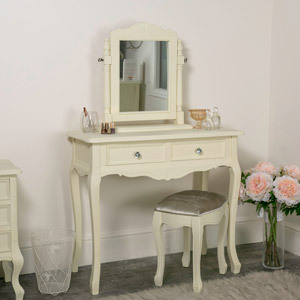 Browse the full selection and find your favourite piece. 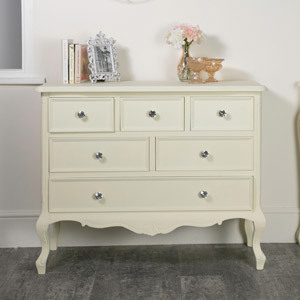 All Melody Maison furniture is crafted with care and finished to perfection.